We have added a new Instructor Name field to the Advanced tab in the classes module. Part of our upcoming faceted search project is to include classes in the search results. In order to do this effectively, we needed the name of the instructor to be separate from the instructor bio. The field will behave similarly to the Manufacturer field in the Edit Product page. If you have added any instructor names to any classes in the new field, then it will appear in the drop-list, as pictured below. If the instructor doesn't yet show in the drop-list, then simply type their name and hit Enter. Once the class is saved, the instructor name will appear in the drop-list. The Inventory Value report has been updated with the data from 2018. So the 2018 spreadsheet export is now available for you from the yearly report drop-list. If you need your year-end inventory value for 2018, go to Reports > Inventory Value, and select 2018 from the drop-list in the upper middle, then click the Yearly Report download button to save the file. 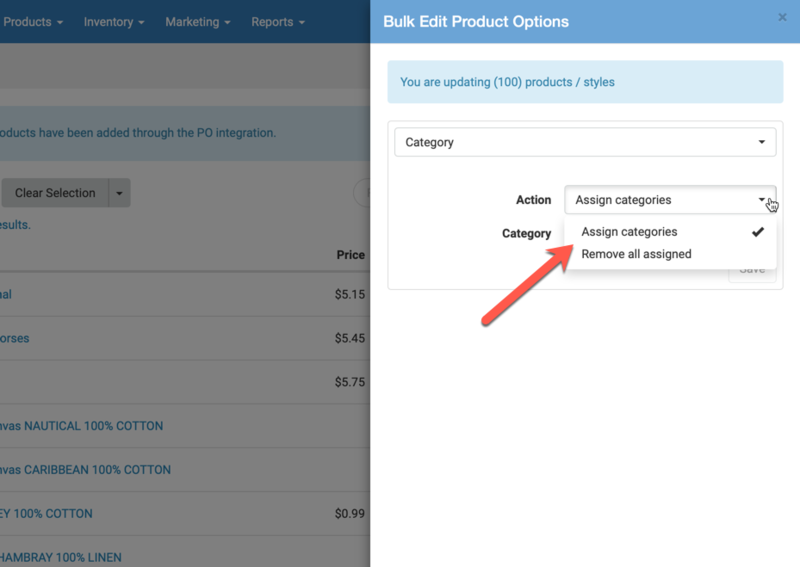 We adjusted the bulk product edit module slightly to make removing categories from products more clear. Now you select the action you are going to perform. Added a From number to the Text Marketing page so stores can see what phone number is texting them. This will show on all incoming text messages moving forward. Fixed an issue that was causing tax to be calculated before previous credit was applied. Tax will now appropriately be calculated after the credit is applied.